This year again, the WITTMANN Group is making good use of its opportunity at the Fakuma in Friedrichshafen to showcase its latest developments in many different areas. 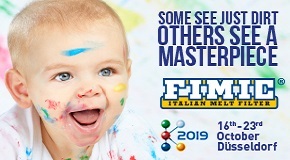 From 13 to 17 October, the company will be presenting innovative solutions in terms of automation, material handling and flow control technology, and granulators as well at its booth 1204 in hall B1. Quite apart from the integrated systems which will be demonstrated in combination with WITTMANN BATTENFELD injection molding machines, the presentation of the new automation solutions will concentrate on two main themes: firstly the addition of servo-rotary axes in WITTMANN robots, and secondly sprue picking with either pneumatic or servo-driven appliances. The new WP80 and WS80 sprue pickers are indicators of the great significance WITTMANN attaches to modern sprue picking equipment. The new Net8 control system used for this purpose can be implemented as a cross-platform solution. 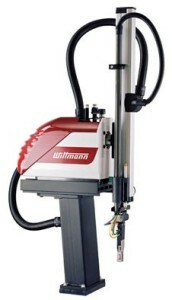 And both models – the pneumatic WP80 sprue picker and the WS80 servo sprue picker – operate with the same software, which opens up additional possibilities in this area. 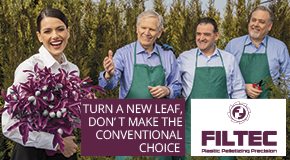 For example, one of the most obvious advantages is that changeover from a pneumatic picker to a servo-driven solution can be effected very easily without extra effort and expense for additional operator training. The WS80 is available in two different versions: either as a solution integrated in the UNILOG B6 machine control system or as a stand-alone solution. But not only completely new models will be on display, numerous modifications have to already existing product series have also been implemented. For example, the bestseller model W818, of which more than 5,000 units have been produced so far, has now become available with an extended axis. This system extension now makes it possible to combine this popular appliance with a load-bearing capacity of 6 kg even more flexibly with other automation equipment, or use it to deposit parts in places behind the moving platen of the injection molding machine. 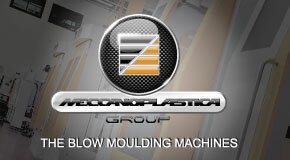 This leads to even more flexibility for positioning injection molding machines on the production floor. The extended axes are equipped with rack and pinion as standard to counteract possible belt tension problems with long lifts. In the sector of appliances for medium-sized (300–1,200 t) and large (1,200–4,000 t) machines, solutions with new additional axes will be presented at this year’s Fakuma. In these design revisions, the main emphasis has been placed on more dynamism, with the rigidity of the axes remaining unchanged. Moreover, the housings have been further optimized, with the result of even more compact dimensions for the rotary axes developed in-house. With the new FEEDMAX B203 net, WITTMANN has successfully combined the advantages of the FEEDMAX S3 net single loader with those of the FEEDMAX B200 central material loaders. 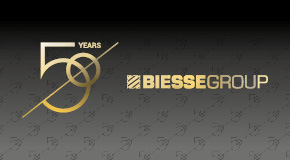 This practical, newly designed appliance with the appearance of a single loader has been equipped with high-performance blowers, so that it can reach a higher material throughput and handle material conveyance over longer distances. The word net in the name FEEDMAX B203 net points to the possibility of controlling several units simultaneously via a single remote touch control unit. 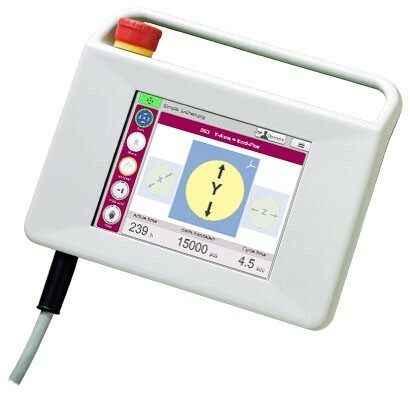 The self-explanatory colored display of the control system includes a status indicator and enables setting of loading times, dosage ratios and cleaning cycles for up to six units. The FEEDMAX B203 net is made of stainless steel; its material outlet and ambiLED status indicator have been inspired by the WITTMANN single loader models, with the ambiLED signal lamp making it possible to read the loader’s current operational status from a considerable distance. The lamp signals any shortage of material in the conveying process, which may happen, for example, if the material container needs to be refilled or replaced. This is an extremely simple method to avoid machine and production downtimes. The material inlet of the new loader is also made of stainless steel and consists of two parts: a massive stainless steel casting with about 5 mm wall thickness, and a reducer also made of stainless steel. The latter is connected to the casting by a clamping ring and serves to connect the feed hose. The FEEDMAX B203 net can be combined with vacuum generators of up to 7.5 kW capacity, a standard value taken over from the FEEDMAX B200 series. The flap lid is completely separated from all connections and therefore very easy to open for any cleaning which may become necessary. The slanted aperture provides unrestricted, comfortable access to the complete interior of the material loader. At this year’s Fakuma, WITTMANN will exhibit the new FLOWCON plus, an intelligent flow controller which keeps both flow volume and temperature reproducibly constant for the entire duration of production with the help of a proportional valve and a wear-resistant flow meter. FLOWCON plus handles continuous monitoring of the flow volume passing through a cooling channel. Disruptive factors such as narrow sections of cooling channels or pressure fluctuations in the cooling system are recognized and proportionally corrected by multiphase motors, which have replaced the old manual adjustment valves. These multiphase motors drive the fine adjustment valves of the FLOWCON plus. This prevents irregularities in temperature control and thus ultimately contributes to better parts quality. 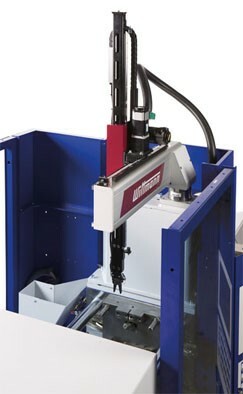 The appliance’s compact design allows for installation on the clamping plates of the injection molding machine, to avoid long hose connections to the mold and significant pressure loss. The FLOWCON plus offers the possibility to connect up to 4 × 12 circuits with each other by means of data cables. The appliance can be integrated in the machine’s control system or operated as a stand-alone solution via a touch screen display. The FLOWCON plus is setting new benchmarks in terms of process reliability, process documentation and reproducibility when it comes to injection molding of high-quality plastic parts. The latest addition to the range of WITTMANN screenless granulators is the new Junior 3 Compact model, a granulator specially designed for grinding hard and brittle materials. It fits in directly beside the injection molding machine and provides a space-saving, low-cost solution. It is ideal, in particular, for granulating sprue which can be passed on to it by robots or conveyor belts. 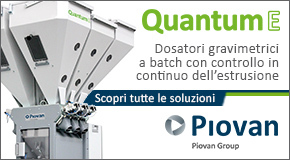 The new granulator has gained considerably in compactness compared to its predecessor models, in fact its size and weight have been reduced by 30%. It also features all of the well-known advantages of a screenless granulator from WITTMANN. It produces an extremely even granulate, with its low rotor speed excluding the risk of thermal damage to the material. Moreover, it is extremely user-friendly and very easy to clean. The Junior 3 Compact can handle a material throughput of 30 kg/hour. The dimensions of its cutting chamber are 240 × 467 mm.